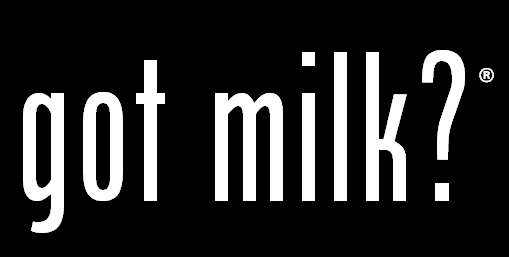 Next Generation Ministries: Got Milk? Not yet. But, it is on the way coming. You see, it is a long way from the music studio to the cows on the farm. By the age of 8 years old, he was pretty good at drinking warigi ... a local brew that is potent enough to kill often and early. He was without mother or father, though the brew was plentiful. Drunkenness comes with a price and his admonished bad behavior was enough to make him leave the slums of Jinja for the basement of a local church. But the milk wasn't there. Music was. Lots of music. And, he found that he was good at both singing and playing the keyboard. Good enough to earn a chance to study music production in Kampala. But, the milk wasn't there either. When Paul & Pam Hunter,directors of Next Generation Ministries, arrived back in Uganda the middle of last October, they discovered that the NGM Farm had been seriously neglected. The farm manager had mismanaged the farm to the extent that it was in serious trouble and could have collapsed. The animals had not been fed, or fed inadequately, resulting in the death to two heifers. Funds were unaccounted for. Even the fences around the farm were down! What seemed to be dead is alive again! Five months back the NGM farm was a mess and it was almost dead. Just like the devil thought he had the victory when Jesus was crucified. But on the third day Jesus rose again. This is the NGM farm story. The farm was nearly dead, but thank God, today it is still alive and we are still pushing on and on. My name is Chris Kulaba, 24 years of age, and I am the NGM farm manager. I didn't know I would be a farmer. It wasn't in my plan or ever a part of my thinking. Previously I was a qualified music producer, but now I am into farming. You may ask your self ... "how, why, what? ... since when did you become a farmer?" I also don't know! I just found my self falling in love with these cows. Here you will see the pictures of our cows here and now. It's not because of me, but its coz of the generous support of a few. It was through God speaking to them so that they stood with the farm to change the lives of people in the community around. Through the funds you donated we were able to connect water to the farm and build a shelter for the cows where they feed from. We also built a house for someone, who is staying at the farm and looking after the cows. So far we have bred five cows and we are expecting them to give birth latter this year. We are hoping for milk then! We have a need right now. We need to complete the house where we will be keeping the farm supplies which will be a place to store everything. We also need food for the animals coz we buy and buy every week to feed them. We also need to put power at the farm for security purposes and also pay salaries to the people working at the farm who are making sure there is water and food in front of the cows. The place that we spray the cows and give them medicine is falling down and we want to build a better place to work on them. We have eight cows so far, but we are still believing God for more cows. In order for me to keep the farm going I had to borrow money from Next Generation Ministries. The Farm Account hit zero. We now owe NGM $170. I have also been informed by the director of NGM that no more loans will be granted. When this money is finished he told me to sell one of the cows in order to keep the others eating. I don't want to do that. So, I requested he help me publish a blog so that someone may help us sustain the farm until milk arrives. Those are the immediate needs we have so far. Your support will help sustain, develop, and improve the farm as well as give hope to the community through these cows. For more information about the history of the farm please visit our Facebook page at https://www.facebook.com/pages/NGM-Farm/1409019196020789. We would love for you to follow the progress of the farm by following us on this Facebook page. 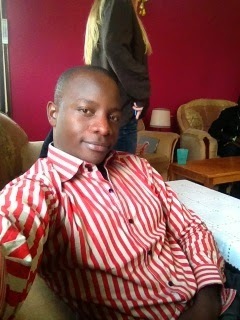 For more information about Next Generation Ministries please visit our website at www.ngmuganda.com. So there you have it. Next Generation Ministries has been working for a couple of years to get calves born on their farm. The first farm manager failed in so many ways, not the least of which was failing to get the heifers bred, though they ended up not being healthy enough for that anyway. Now there are five heifers who should give birth before the end of the year. Two of them should give birth in October. That is when we should be able to report to you that WE GOT MILK!